I’m always tempted to show readers of this blog exciting, new Hot Spots for them to try that are great for single people. But I haven’t forgotten there are numerous old -school restaurants and bars that are great to visit. Sazerac Restaurant & Bar, at 1101 4th Ave., is a great place for happy hour if you are already downtown for a shopping spree, live music or a museum visit. Sit at a bar stool, relax in a lounge chair or sit near the open kitchen, where wafts of sweet, smoky wood meander through the entire room. While the drinks are good here, the food steals the show. You’ll only need one or two of these appetizers to feel like you’ve had a full dinner at this restaurant adjacent to Hotel Monaco. 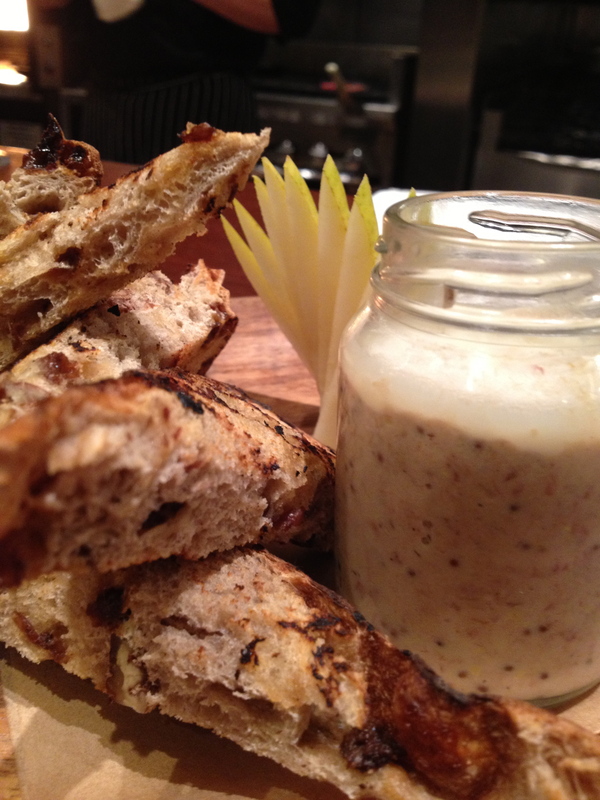 One of my favorites is the pork rillettes for $9 because the rich pork spread is paired perfectly with raisin pecan bread. Another must-have is the spicy beef tartare with roasted chilies for $8. 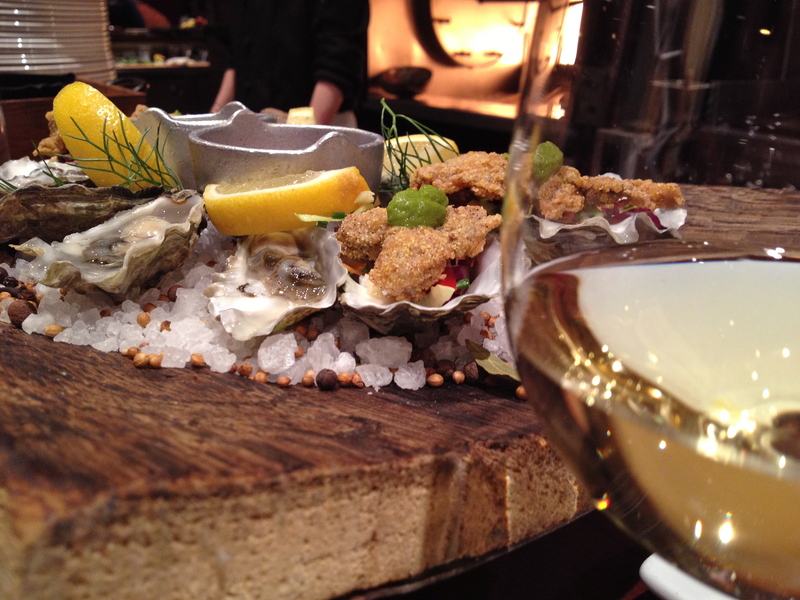 Happy hour is 4-8 p.m., every day except Sundays. 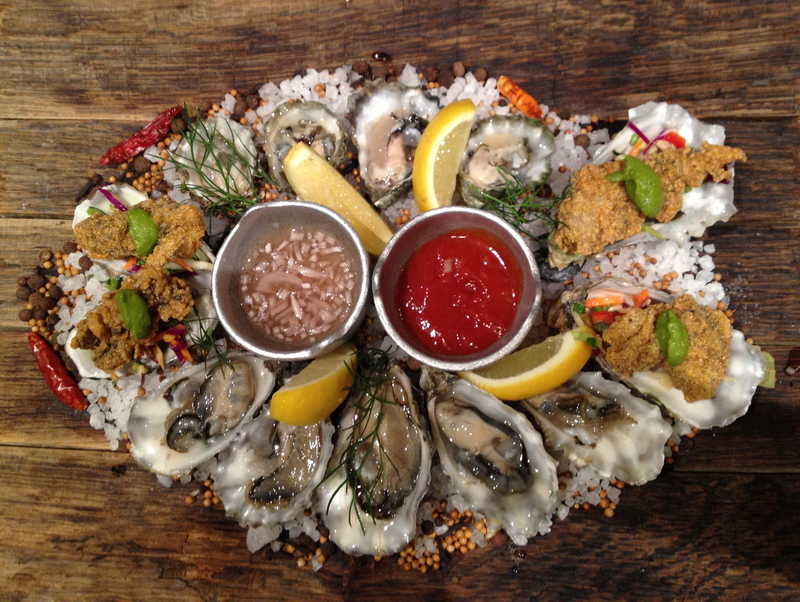 And don’t forget the half dozen oysters freshly cracked in front of you and put on a beautiful rustic wood platter that pairs well with the Townshend Sauvignon Blanc for $7 a glass. 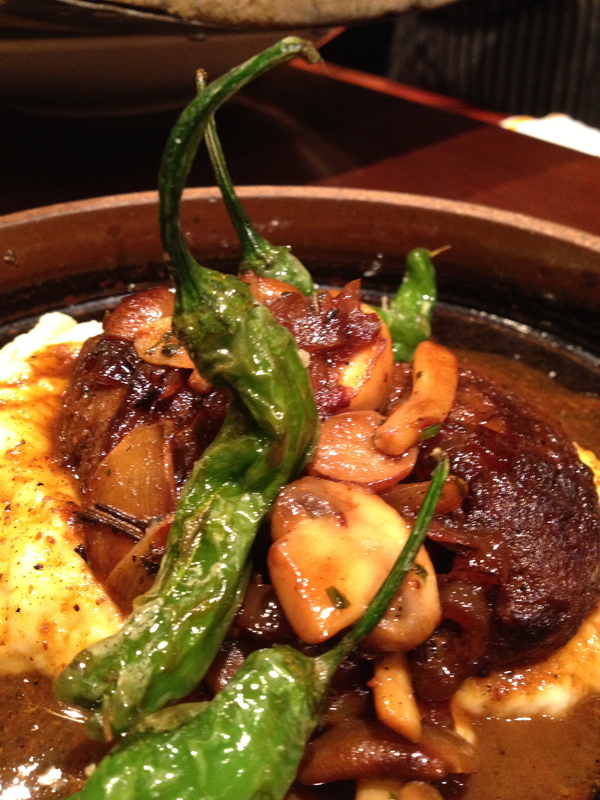 For a main entrée I dug into the Pork Cheeks with Parsnip Puree, Bourbon Mushrooms and Shishito Peppers. The rich tender pork, the subtle sweetness of the parsnips and the touch of heat in the peppers make this a winning combo. 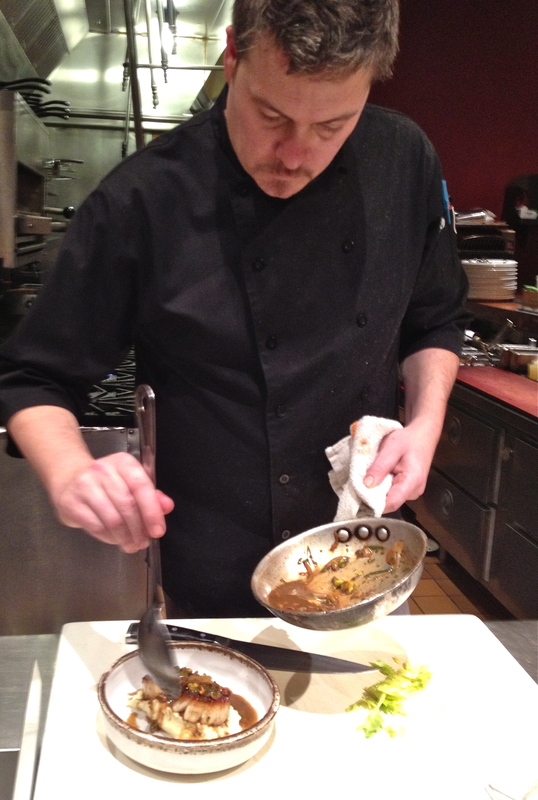 Jason McClure has been the executive chef for 15 years, but that doesn’t mean the menu is stale. McClure is always pushing his staff to be creative and bold, even mentoring some of them. There’s no doubt he’s infused a certain chill factor at the open-faced kitchen. If you are like me and want to see the food and chefs in action, sit at the kitchen counter where you’ll get a bird’s eye view of almost every maneuver of the staff. Here you will see and be able to interact with the chefs and be able to ask questions. This is definitely my comfort zone, sitting near the heat of the wood-fired oven, soaking up the scents from the cutting boards and hearing the food sizzle on flames. But another place to sit is in the bar, where you’re more likely to find people to interact with who have just gotten off work or who are gallivanting around downtown. Here there is a mix of men and women who are single, often ready to start their weekend early and spark a conversation. But don’t let me sway you. Try Sazerac out yourself and tell me what you think. Posted in Hot Spot restaurants and bars and tagged bar, happy hour, oysters, pork, restaurants, Seattle. Bookmark the permalink.